Mark Preminger is a cardiac electrophysiologist serving the community of Paramus, NJ. He attended Drexel University, where he received his medical degree, and completed residency in internal medicine at North Shore University Hospital. He further continued his studies and completed his fellowship in cardiovascular disease at Penn Presbyterian Medical Center and NewYork-Presbyterian Hospital / Weill Cornell Medical Center. He also holds a bachelor’s degree from Johns Hopkins University. 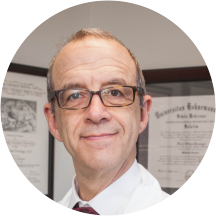 Dr. Preminger is a part of Valley Medical Group and is board certified by the American Board of Internal Medicine specializing in cardiovascular disease and clinical cardiac electrophysiology. He is also affiliated with the Valley Hospital in Ridgewood, NJ. Dr. Preminger does not treat patients under the age of 14.